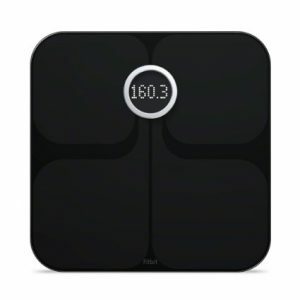 Monitor body fat to get a better picture of your overall health and see your weight loss efforts and trips to the gym pay off right before your eyes with this Smart Analyzer scale from Withings. 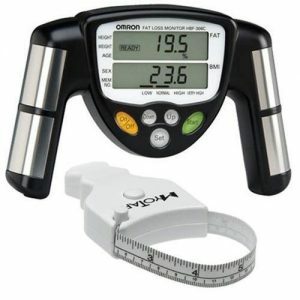 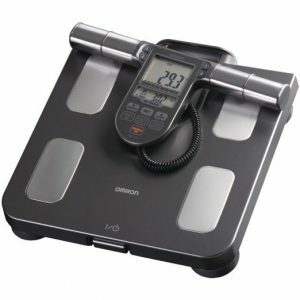 This body fat scale has all the bells and whistles you’re looking for to help you on your road to fitness – including precision body fat and weight measurement in seconds. 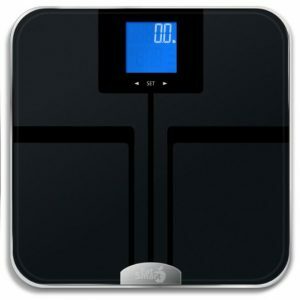 This wifi body fat scale is loaded with features – there’s scarcely a thing that it lacks. 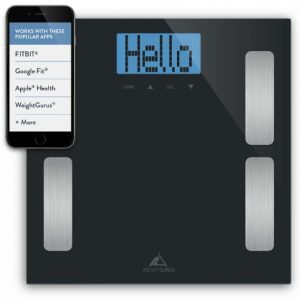 Send the results of your weigh-ins to your smart phone automatically, so you can track your progress in real time right on your phone. 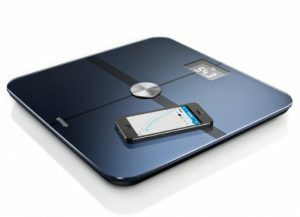 Pair it with the MyFitnessPal app on your iPhone or Android to get an instant visual of trends, see how to better improve your caloric intake and more. 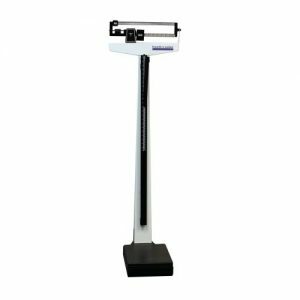 Create multiple user profiles to get the whole family in on the fitness fun; the scale recognizes users automatically and is programmable for up to eight people. 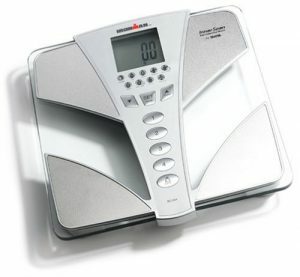 The scale has an ultra high-tech look and is super slim, so it takes up little space in the bathroom and stores easily under the sink or in a cabinet drawer between uses if desired.